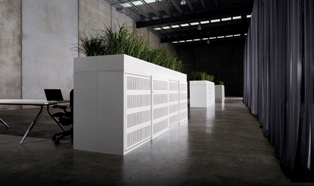 November 2013 - Precision by Dexion launched a new range of Strata 2 cabinets offering the market a more flexible, streamlined and environmentally friendly storage solutions for the modern workplace. Like all quality Precision by Dexion products, the Strata 2 Cabinets are designed and manufactured to meet <?xml:namespace prefix = st1 ns = "urn:schemas-microsoft-com:office:smarttags" />New Zealand standards. Cabinet components are easy to disassemble and replace, minimising cost and extending the lifetime of the product. All cabinets in the new range are GECA certified, meaning they have been independently tested and meet the performance criteria required to contribute towards earning points for Green Star certification.